With the new year comes a slew of new gadgets, most of them driven by the idea that your home could always be smarter. These devices, doodads, and downright essential items are worth incorporating into your daily routine. Whether you want to upgrade your home security game or the cleanliness of your floors, check out these nifty worker bees. 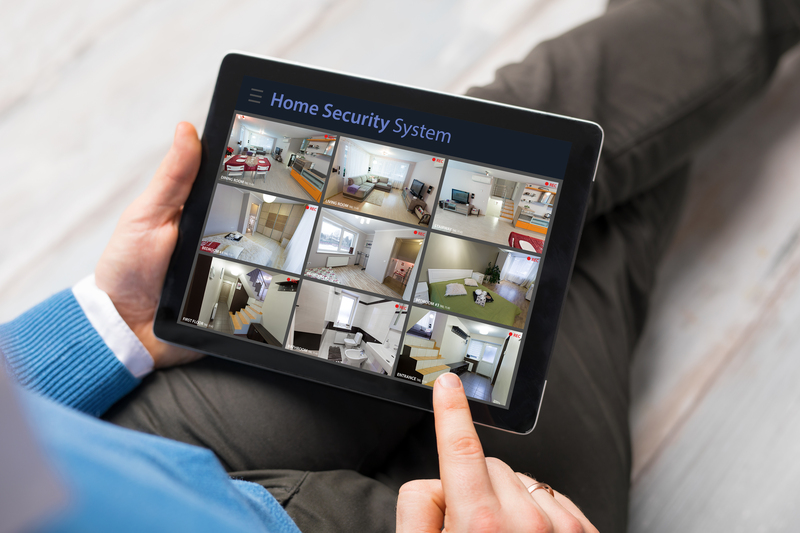 We can’t decide between these two souped up security systems, which offer features like night vision, HD-quality recording, 360-degree vision, and compatibility with other apps and assistants in your home. One of the easiest and most cost-efficient ways you can instantly improve your security is by investing in the Nest; specifically, this doorbell that delivers bright, clear video of visitors to your home at the press of a button. Keep your kids safe online with this system, which can handle multiple devices at one time. You can set filters, regulate screen time, and otherwise block unwanted content from being accessible. The next time you have to replace the batteries in your old smoke detectors, install this literal lifesaver instead. Control this device from your phone, where you’ll receive alerts about any smoke or CO in your space. You’ll hear a human voice overhead alerting you to same, or simply reminding you to remove that pizza from the oven before it gets burnt. This is more than a thermostat–it’s a voice assistant, too. But the most important feature here is that the Ecobee4’s finely-tuned sensor will detect cold and warm spots in your house and help you address the problem. It’s the best way to customize your temperature. Robot vacuums unite! These powerful little cleaners have come a long way. They’re smaller, sleeker, and more efficient than ever, for starters, and in some cases will run for 2 hours. This means you could be on the couch watching an entire movie while your bot tidies your floors, directed from the app on your phone. Why should indoors have all the robotic fun? Take the same approach to your backyard as your floors and get yourself a robotic lawnmower. It goes the distance, and when it’s done, GARDENA promises that clean up is easy. Go next level with this stylish air purifier, which will eradicate allergens and pollutants and is operated–once again–from your mobile device.